In a press release issued by the Buffalo Music Hall of Fame on June 29, 2011, Ron Urbanczyk of the New Direction Band was named to its class of 2011 inductees. 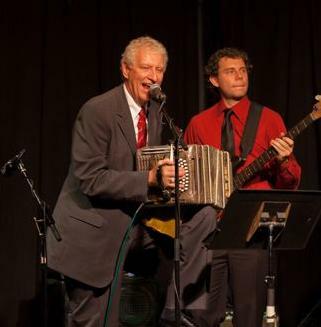 Renonwed Western New York Polka musician Ron Urbanczyk is a veteran band leader, musician, promoter and author who works as the concertina player with the New Direction Band. Urbanczyk will be honored along with his fellow inductees at the Buffalo Music Hall of Fame Gala, to be held on October 6th at the Tralf Music Hall. 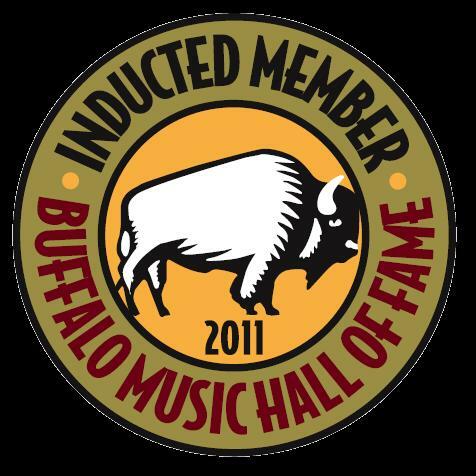 The Buffalo Music Hall of Fame Class of 2011, will be introduced to the public in downtown Buffalo on Wednesday, July 27th in front of the M&T Plaza at noon. Ron is only the fifth "polka musician" to be honored by the Buffalo Music Hall of Fame. His nomination was presented to the selection committee in March and after their review and scoring process, Ron was selected . The BMHOF selection committee judges nominee's based on their musical talents and tenure, community service activities, professional achievements, career highlights and the performers public visibility on the local and national levels. Amongst Ron's musical talents of playing the accordion, bass guitar, concertina and keyboard, his dinner theatre brainchild, Stas and Stella's Mostly Traditional Polish Wedding, and his song writing abilities, six new originals will be featured on the New Direction's first CD which they hope to record late this summer, were recogonized. Ron has played polkas for over 50 years with the Jolly Jesters, Pole Cats, Steel City Brass, Buffalo Concertina All-Stars, Honky Hoppers, Bedrock Boys and City Side prior to forming the New Direction Band in 2009 with Jim Raczkowski, Bob Krupka, Frank Zeczak and Bill Barnas. Ron put a trip together after receiving an invitation by the Chemnitz Mueseum of Art & Culture for the Buffalo Concertina Club in 2001. They traveled and performed in Chemnitz and Gruna, Germany and Krakow and Rzeszow, Poland and visited Prague in the Czeck Republic. He ran a clothing drive and accepted donations for the Children's Orphanage in Rzeszow and ran a benefit dance for Tim Gusevich getting all the Buffalo Bands to donate their time and raise over $4000 to pay off his hospital bills. Ron also brought polka music into venues that were once thought of as off limits and included the New York State Fair, Hamburg Casino, Batavia Casino, Miss Buffalo, and town concerts in Cambria, East Aurora, Lackawanna, Orchard Park, Sloan and West Seneca. The German-Polish Night at Club Loreli in Hamburg and Spring Garden In Marilla have also been an ethnic success. Ron is also an active member of the Buffalo Polka Boosters, Polka Variety Club, United States Polka Association, International Polka Association, Concertina USA and is responsible for airing "It's Polka Time" a one hour polka show on Time Warner Cable outlets in the Suburbs of Buffalo, Niagara Falls and Lockport. Ron and his wife Kathy have also escorted polks fans from Buffalo on four Caribbean Cruises and to all inclusive vacations at resorts on several Caribbean Islands. Most recently, Ron started as an IJ on the 247PolkaHeaven Network (www.247polkaheaven.com) on Monday nights from 7:00 pm - 8:00 pm. Listen In. Ron's format features the music of Buffalo Bands and Musicians. So, Ron is well deserving of his induction into the Buffalo Music Hall of Fame and we look forward to the October induction ceremony at the Tralf, where the New Direction Band will even get to play a few Polkas!